The number of Operational Groups has now reached 1000! Are you in an Operational Group? Then post a nice picture of your project on social media using the hashtag #1000ogs and celebrate with us! The EIP-AGRI Service Point will collect all your pictures and create a video-loop to be shared on social media from mid-April. All #1000ogs pictures will also be available on the EIP-AGRI website’s picture gallery. 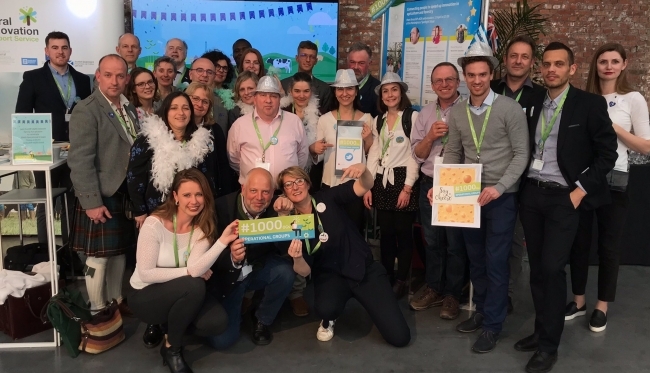 Beneath you can find some of our stakeholders during the NetworX event on 11 en 12 April 2019, organized by the ENRD.